Georgia appraiser - providing professional appraiser services, appraisals, and appraisers for all your Atlanta Georgia real estate needs. As a Georgia appraiser for over 21 years, we have the experience you need to be your appraiser in Georgia. Welcome, we want to be your G<?xml:namespace prefix = st1 ns = "urn:schemas-microsoft-com:office:smarttags" />eorgia Appraiser! As a Georgia appriaser for over 20 years, we are your trusted one-stop real estate appraisal site. Here you can order an appraisal in Georgia, see our appraisal service area, check tips for faster appraisal turn around times, keep up to date on your appraisal status and generally access the latest information in the appraisal industry and especially in Atlanta Georgia. As an Appraiser in Georgia we publish our prices for different types of real estate appraiser services, so there are no surprises. We offer many types of appraiser services, including URAR, 2055 interior and exterior, 2065, 2075, Condominium, Rent Schedules, Operating Income Statements, Finals, 2-4 Residential Units, Land Appraisals, and FHA Appraisals. Our Appraisers are professionals. Our clients deserve speed, courtesy, and accuracy. And they get it. 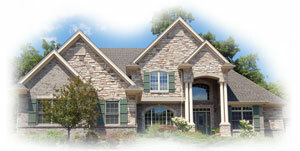 Many of our clients have been ordering appraisals from us since 1983. That's over 20 years of repeat business! We are proud of our business relationships, and will gladly produce references for you at your request. Time is money. And we value your time. We will make contact for property inspections within 24 hours of receiving an order and will complete the home appraisal report within 2 days of the inspection. If we run into difficulties contacting your clients, we will inform you immediately. Old fashioned courtesy, state of the art communication. With our automated status eports, guessing is a thing of the past. All Georgia home appraisal reports are totally digital and internet delivery is standard. We specialize in home appraisals for Georgia real estate loans including Georgia home mortgage loans, home improvement loans, home equity loans, home equity lines of credit, and for PMI (private mortgage insurance) removal from Georgia home mortgage loans. We also specialize in Georgia home buying price determination appraisals, Georgia home selling price determination appraisals, and Georgia home listing price determination appraisals. We also provide certified Georgia appraisals for Georgia divorce, settlements, estate planning, insurance claims (home owners), title insurance claims, tax appeal, foreclosure (REO), and relocation. We also specialize in the appraisal of lots, Georgia land development, and Georgia land. Our Georgia appraisals are clear and concise and our Georgia home appraisers understand and follow sound appraisal principles. Contact Us to be your Appraiser in Atlanta Georgia today. Georgia Appraiser and real estate appraiser and real estate appraiser services for residential properties serving Atlanta, Georgia. We are one of the best Georgia appraiser sources for: a Georgia Appraiser and real estate appraiser services for residential properties. Serving Atlanta, Georgia.